So you’ve developed a hunger for these tasty little crustaceans called crabs and want to get out and catch your own. (I guess they aren’t particularly little when you are trying to get them out of the crab traps!) The following article details the best methods that I have found for catching mud crabs, or if you will, “How to catch crabs”. You might go grabbing using different methods, and I am not an expert, but these techniques have helped me to get the best results. Australian laws (in the state of Queensland) for catching crabs permit you only to keep male mud crabs which are greater than 15cm (6 inches) across the back. You are only allowed to have four traps (locally known as crab pots) per person on board your vessel, and these pots have to have your name, address, and phone number clearly labeled on the crap pot and also its float. You will need some good crab traps. There are a lot of varieties, shapes and sizes on the market. 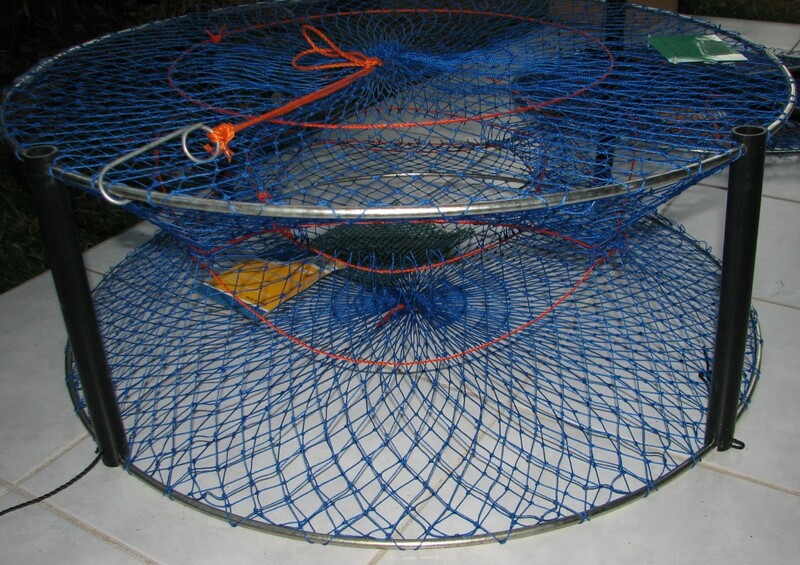 For example, they are available in round, square, pyramid, collapsible and net types. Queenslanders (in Australia) used to use traps called Dillys which have since been banned. These were like a basket that sat flat on the sea floor, allowing crabs to make their way to the centre to get to the bait. 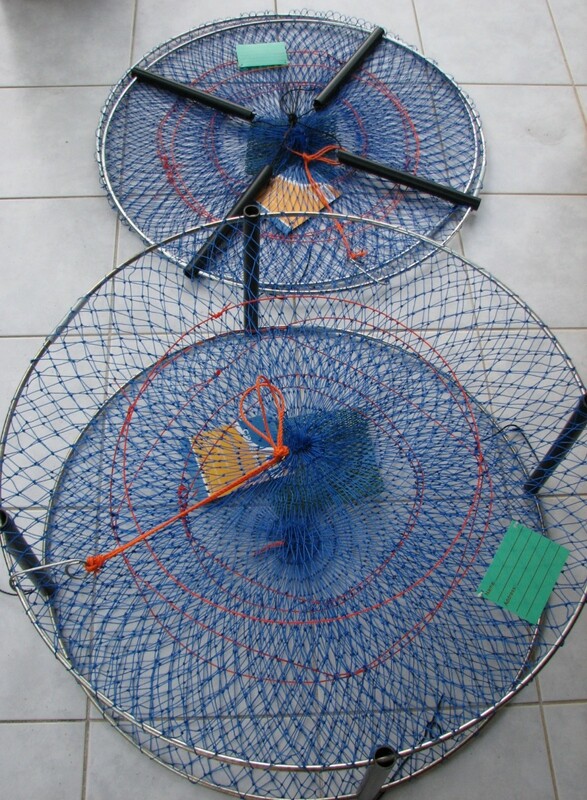 When you lifted up the rope that attached the float to the trap, the basket would scoop the crabs up. 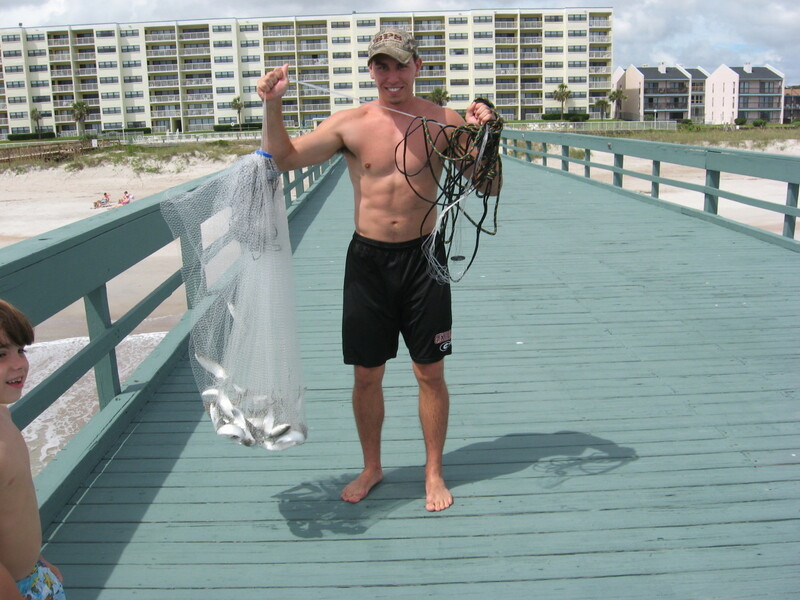 Being successful when fishing for crabs has a lot to do with the bait you use. The most successful bait that I have found is whole fish frames. These frames are from fish that I have caught and filleted. I freeze the frames for when I intend to go crabbing. These fish frames include the tail, backbone and head of the fish and are approximately 30cm (12 inches) long as a minimum. If you don’t have your own fish frames, the next best thing I can think of is mullet heads from a fishing bait store. I would use bones from a butcher's store as a last resort. Typically we are told to go crabbing on a half moon phase. This is when there is little run in the tide. I’d say this would be the best time to go crabbing as the crabs will move around further to find food. They won’t be affected as much by the currents caused by the run in the tide (change in tide height). 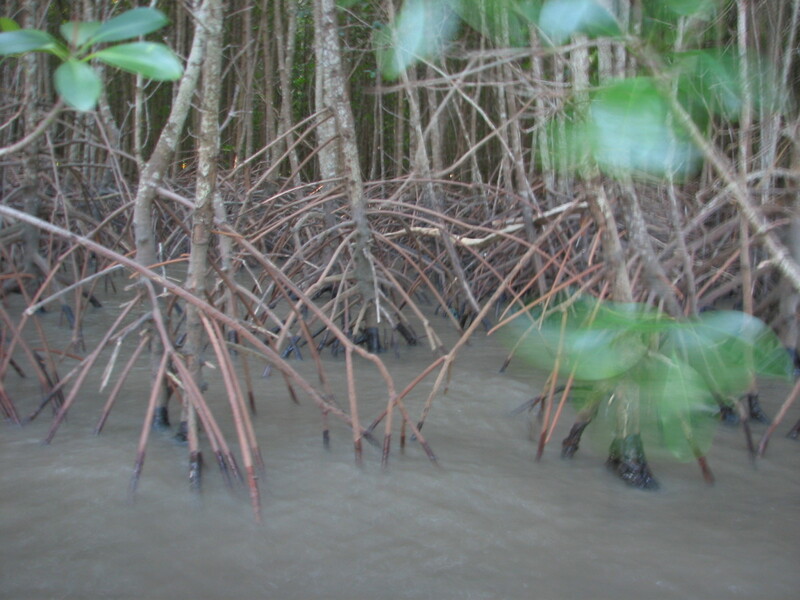 In the tropics you will catch mud crabs in the estuary, in the creeks, or on the mud flats. You might have more luck on the mud flats than in the creeks as most crabbers target creek locations. 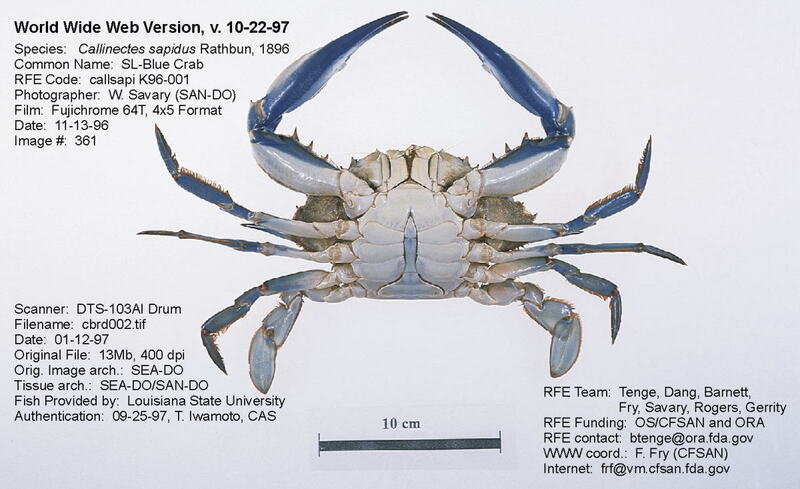 On the mud flats, you will also catch the smaller blue swimmer crab (note that these crabs have different size and possession limits). 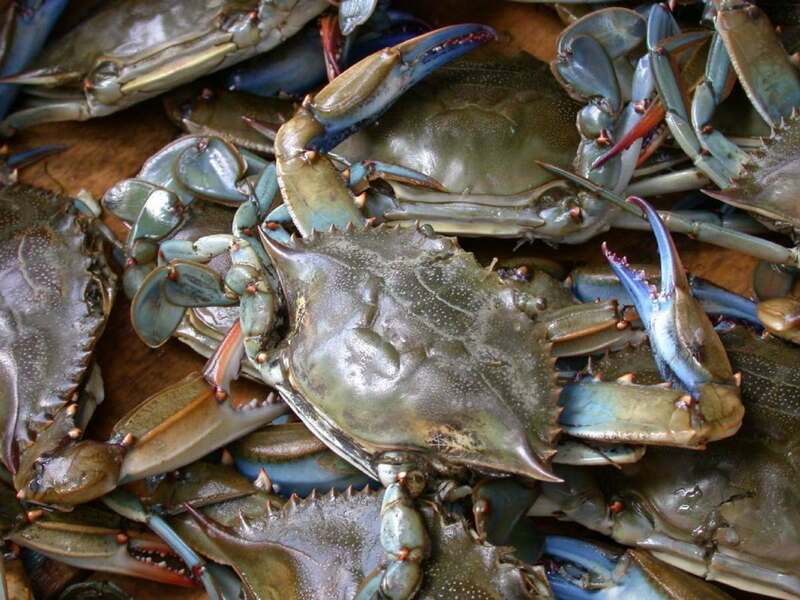 If you've found this article useful and have caught your share of either mud crab, blue swimmers or the crabs from your local area then maybe you'd like to learn how to eat crab? 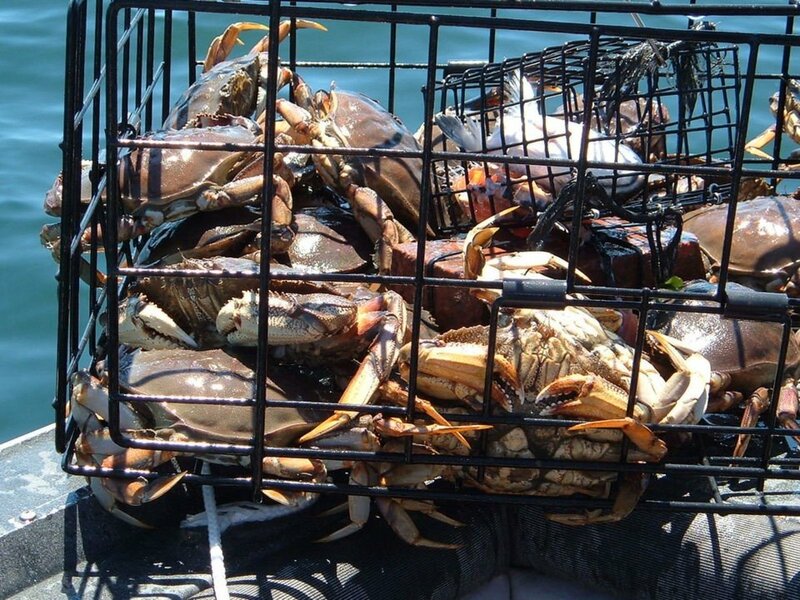 The ugly side of crabbing is when other crabbers or fishers check your crab pots, or worse, steal them. Regular crabbers call this activity "share farming." Although this is illegal, there is little you can do to prevent it from happening. I have had pots raided and stolen on a couple of occasions. When this happens, you immediately feel like going out and doing the same to other pots in your surroundings. You can't do this and you shouldn't do this. You shouldn't lower yourself to the raider or thief's level. 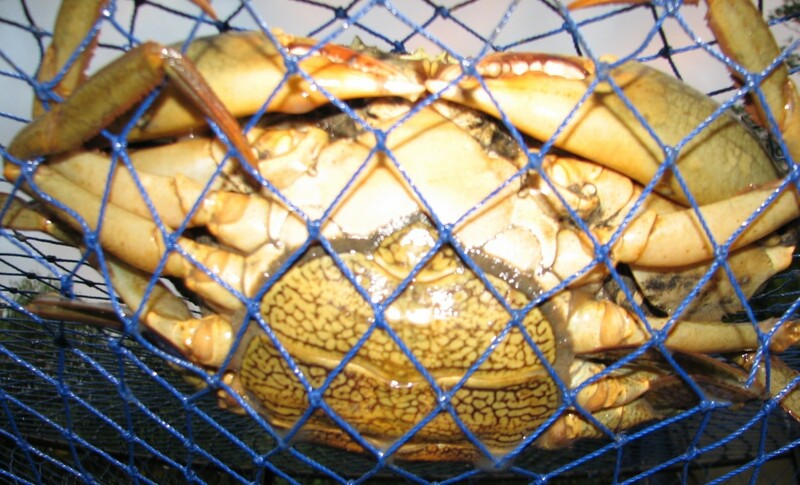 Don't go crabbing on school holidays or other public holidays. If you see another boat in the area, "guard" your pots until they leave. 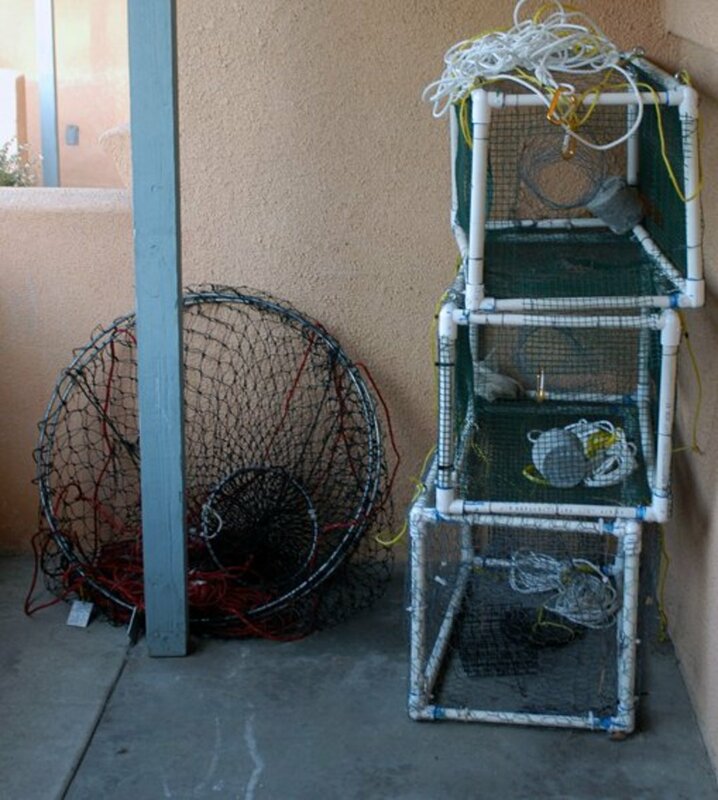 You may have overheard your friends bragging about the extra crab pots that they "found" or may have seen your friends return home from crabbing with extra crab pots. 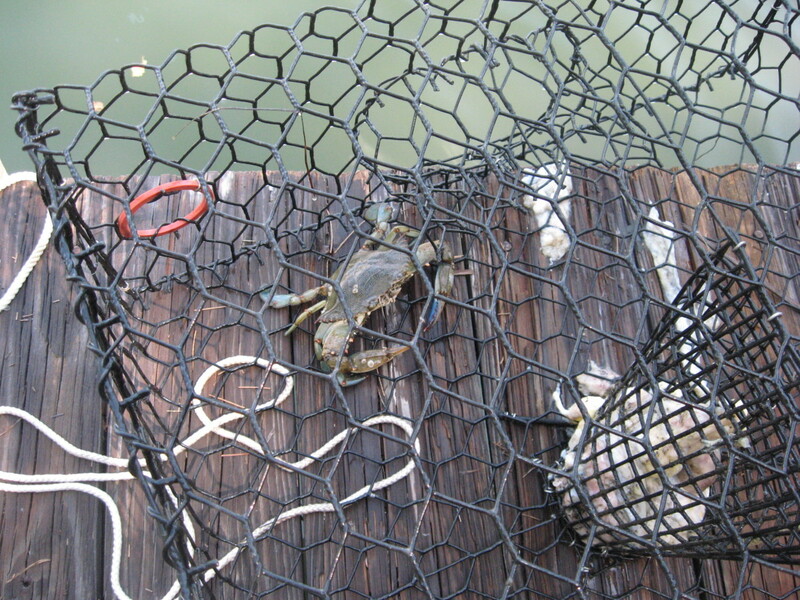 It's up to all of us to ensure crabbing remains a fun activity for everyone. Hi lsajo, i'd thaw them out fully, then cook them whole. Once they are cooked and cool enough to work with then you take the shell off and clean them, i.e. remove all the non edible parts inside the body. Then give them a rinse and pick out all the white meat. Enjoy! Thanks Frederick, for your comment, its sad to hear about your troubles in Tampa, Florida. I hope that your local authorities clamp down on crab traps littering your waterways. Here in Australia we have to label our floats and crab traps with our name, phone number and address. This might be a great way of talking to the crabbers who discard traps (or lose them)? Well most people think that their crab traps got stolen but when you litter a canal with 300 traps you can't even fish. It's more like we sick of sign them everyday everywhere like we need to outlaw all crab traps. I'll take them and pick them up and toss them in the bushes near by. Crabbe are usually self centered rude people. So remember that. Thanks Aladdins Cave, this hub was edited by Hubpages in their review program and they may have done this, so I'll fix it. But I have copied and pasted one paragraph that you doubled up on. 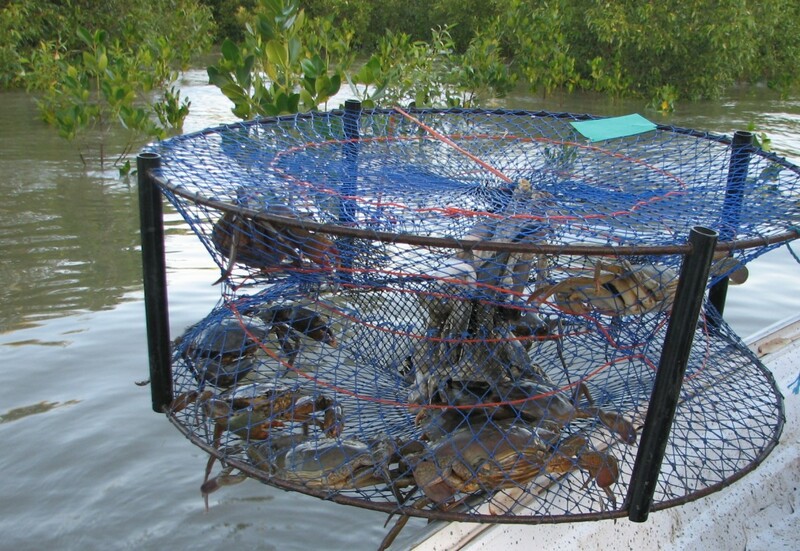 "The following article details the best methods that I have found for catching mud crabs, or if you will, “How to catch crabs”. You might go grabbing using different methods, and I am not an expert, but these techniques have helped me to get the best results." Hi Cathy, I am not sure where you can go crabbing around the toowoomba area, as it's inland from the coast. If you can't get to the coast in and around the Sunshine coast why don't you try catching yabbies in the dams around Toowoomba. Catching yabbies can be just as fun. If you do get to the sunshine coast why not book a crabbing tour, that way you are pretty much guarenteed seeing crabs being caught and you'll pick up some local knowledge along the way. Thanks for the great Hub. Some of my fondest memories of childhood were of my father taking me crabbing. As a matter of fact, I've started my own hub on that topic and hope to publish it in a few days. Crabbing can indeed be a family event and I found it much more fun than just fishing. And the reward afterwards, eating delicious crabs, makes it even all the more rewarding!! I'm not a big fish eater but crabs I love!! Thanks again for the inciteful hub!! Question? Are female mud crabs better eating then male? I am glad to visit this hub, great work. Thanks for your concern crab man, this crab in the photo is legal, 15cm across the back. Sorry to hear of your story judy, it happens more often than not. lost crabs to a crab thief 2 nights in a row then they cut our round one the next night. must have been a few in it. what amazed me - the locals said they know who does it EVERY night. i actually thought the crab in the sink was not as big as every body thinks it is. After all it is supposed to be a mudcrab at least 6inches across the back ( as a minimum ) - not a blue swimmer or sand crab. Getting the crabs out of the pots can be tricky. The pots I have shown above have a 'draw string' like opening in the top. You turn the pot upside down and shake the crabs out into a bucket. Sometimes it can be hard as the crabs latch onto the pot and won't let go. And then it is the trick bit of separating the legal size from the undersize ones. Usually you can manage to empty the smaller ones overboard first. How do you get the crabs out of the pots? Thanks KAel, catching with hands sounds like dirty work, you'd probably need a big long steel rod with a hook on the end to get down into the crab hole I am guessing? Anyway I'd much prefer to catch crabs from my boat. Thanks dinkan53, not sure if I'd ever catch crabs by hand, as I love the sensation and use of all my fingers! Thanks for your comment! quite interesting, but any way catching it with your own hands is something really fantastic. The real adrenaline flow!!! Thanks for your comment nizam. 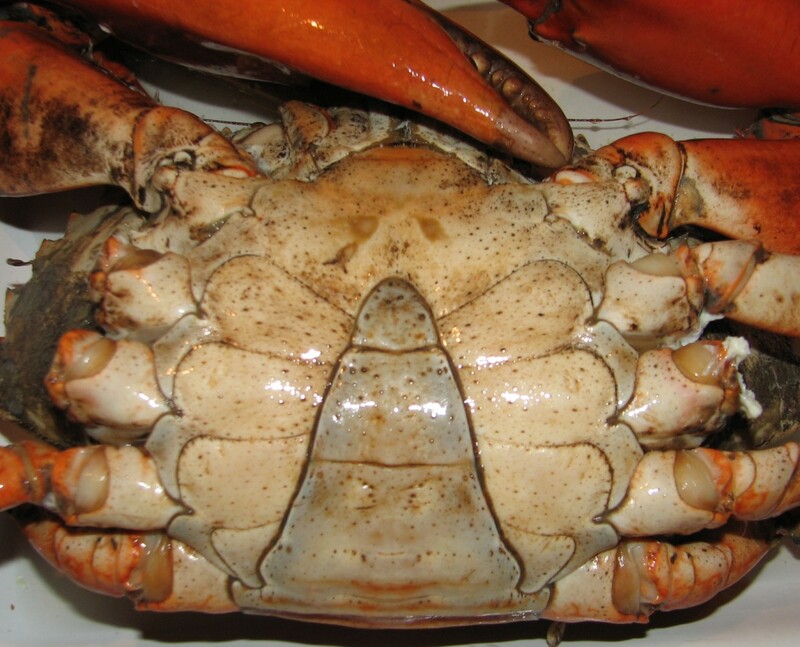 Mud crab is about $50.00 AUS each here so that's why they are even better to catch than buy. Your recipe sounds great. 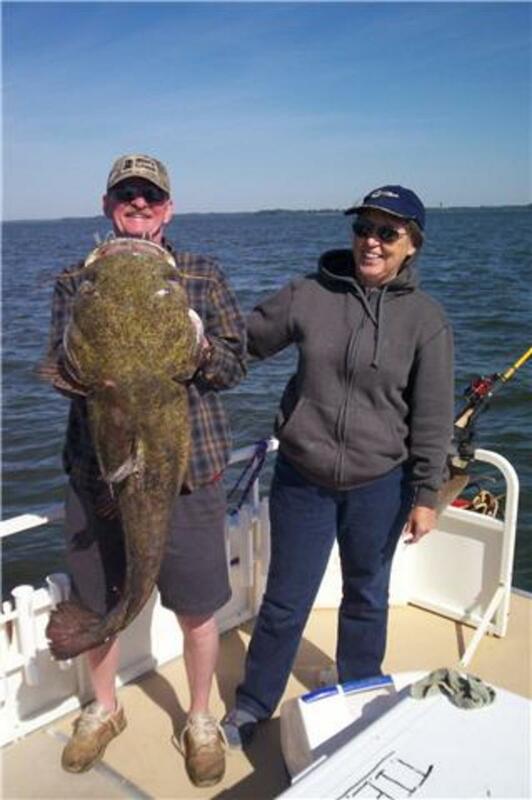 Thanks for your comment Ben Zoltak, I guess I am lucky to be able to catch these large crabs. Ive never heard of crawfish, something I'll have to Google and learn about, thanks again. Can I just say, LJ that you are sooooo lucky to live in an area with these gigantic crustaceans nearby! I have to trap tiny little crawfish for just a nibble of delicious crustacean meat, still worth it, but not as good as crab! Yum. Glad you enjoyed this article Melissa, thank you for your kind words. That's quite interesting jill of alltrades, ive never heard of "gay" crabs. They would be good here as an alternative to only keeping the legal sized male crabs. It would certainly give our department of fisheries something think about! I love eating crabs and I have gone crabbing once. It's fun! Do you know that there is another kind of crab? People here in the Philippines call it the "gay" crab. 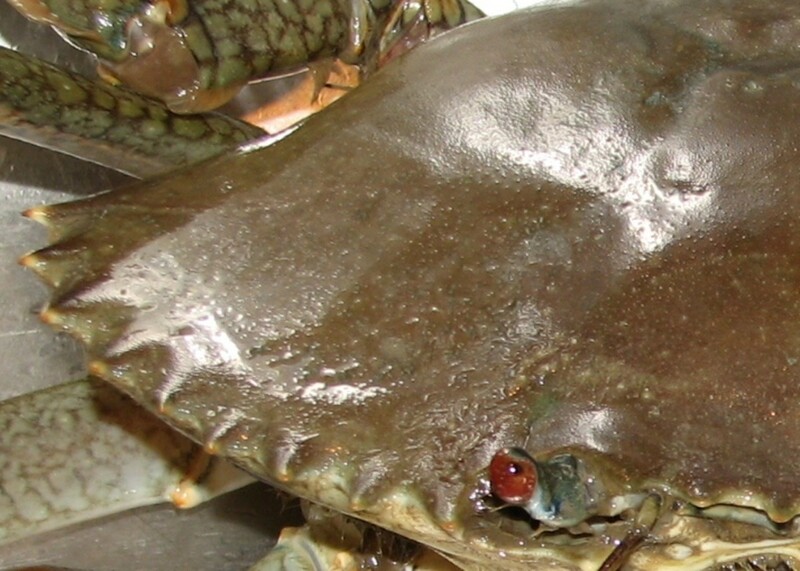 The markings are intermediate to that of the male and female crabs. 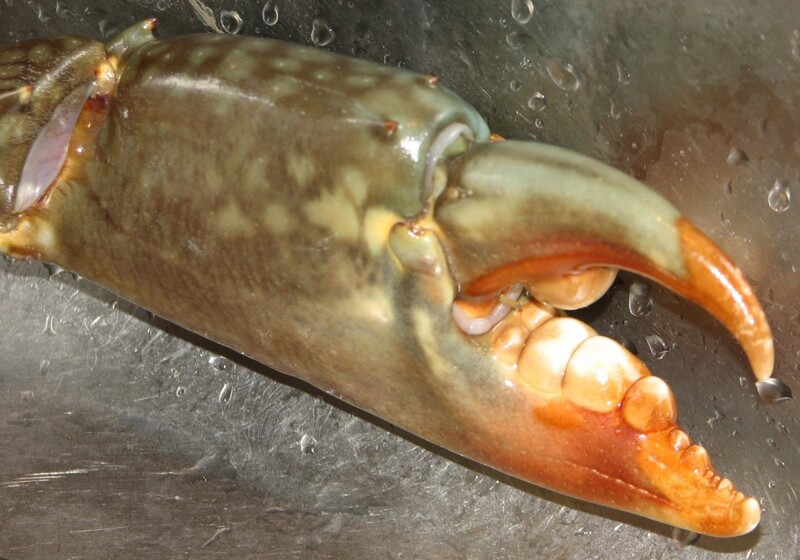 This "gay" crab actually fetches a higher price because it's more meaty. By the way, there is no offense meant in the designation. Thanks for your kind comment dohn121. The crab does look huge with its legs and nippers extending out. For reference the sink drain hole in the photo is 5cm (2 inches) across, and the crabs main body shell is 15cm (6 inches) across. I'd say body and legs he is double this. So he does look pretty big I guess, especially when he was getting cranky for the photo and rearing up at me! 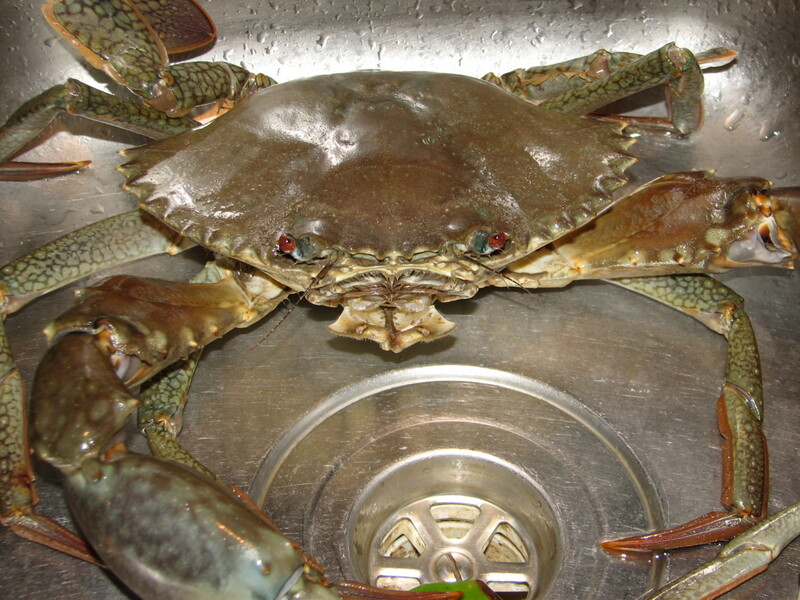 Okay, in the second-to-last picture, either that crab is huge, or you have a really small sink! This was an awesome hub...How does one get the opportunity to use whole kangaroo as crab bait? I was under the impression that kangaroos were illegal to poach--forgive me as I don't know Australian laws concerning kangaroos. I really did like your hub, BTW. Thank you for sharing!